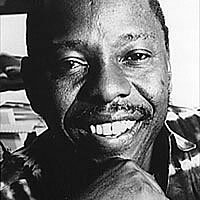 Nigerian Activist Ken Saro Wiwa Hanged thirteen years ago this week « Justice In Nigeria Now! This entry was posted on November 12, 2008 at 3:27 pm	and is filed under Alien Tort Statute, Bowoto v. Chevron, Chevron, Nigeria, Uncategorized. Tagged: Alien Tort Statute, Bowoto v. Chevron, Chevron, Ken Saro Wiwa, Nigeria, Ogoni, Shell. You can follow any responses to this entry through the RSS 2.0 feed. You can leave a response, or trackback from your own site.